I received a digital arc of The Echo Room by Parker Peevyhouse from Netgalley. I kept seeing posts about this book on Tor Teen’s Instagram page and it sounded like something I would enjoy. I am happy to say that I was correct and I really found a lot to love in this sometimes shocking sci-fi thriller. I recommend this to fans of Annihilation, or the films Memento and Cube. Click here for the ominous synopsis! Rett and Bryn hide in a cold, dark room. Safe from what’s outside. The Echo Room dumps you right into the action, so there are a few pages of mild confusion. It’s fun though because the main character, Rett, is confused right along with you! I loved the opening chapters and found myself paying really close attention to every detail because every element felt so crucial to solving the mystery. Both Rett and his partner in puzzle solving, Bryn, are really emotionally complex characters that are forced to mask those emotions for the sake of survival. This plays out in a lot of different good and bad ways throughout the book. They each have important strengths and weaknesses. The writing for Bryn is stellar, and I never felt like she was made to be the damsel in distress. On the flip side, Rett is allowed to feel and express a lot of emotions that aren’t rage and anger. Both characters felt really authentic for those reasons. The plot ultimately had some minor flaws for me, as the book comes to a close. I can overlook it because I just found this book to be so darn fun. As with any sci-fi book in this vein, there are a lot of interesting discussions to be had about the technology presented. I’m really looking forward to what people think about the tech in The Echo Room, for me it was unique and fascinating. I hope I can find some readers to talk to about it. 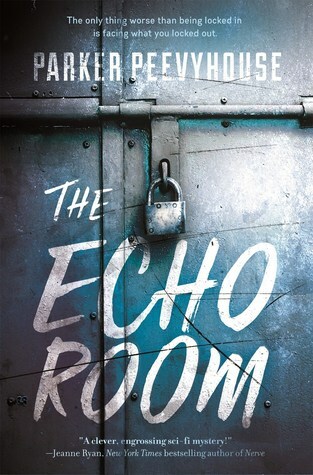 If you are looking for a fast-paced, somewhat scary, and definitely thrilling read to add to your fall tbr, you should check out The Echo Room. It will be on shelves September 11th.